Stay up to date with Electrical World's news, promotional offers and industry trends. Zexum high quality SAT100 Digital Satellite cable. A quality, well constructed product which is easily stripped and worked with. 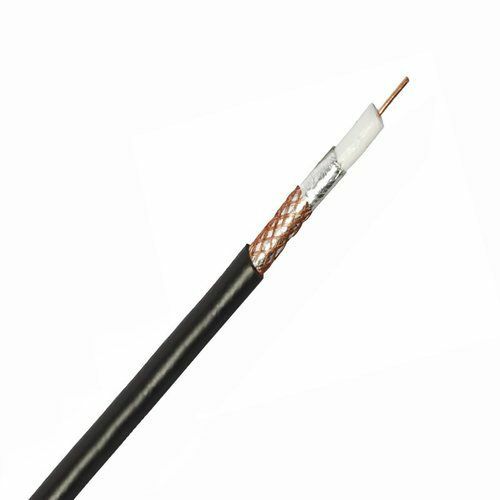 General Purpose SAT100 Black Digital Satellite Cable, can be used to link a Satellite Dish to the Receiver or Control Unit. It may also be used for TV reception and for most fixed systems. Can be used with our Satellite Face plates such as in our White Switches & Sockets and our Decorative Switches & Sockets Ranges, along with our Metal & Drylining Boxes. Zexum is a UK manufacturer which sources quality cables made to the highest specifications from various sources both in the UK and the Rest of the world. This product will be supplied in a single length up to 100m, unless otherwise requested.